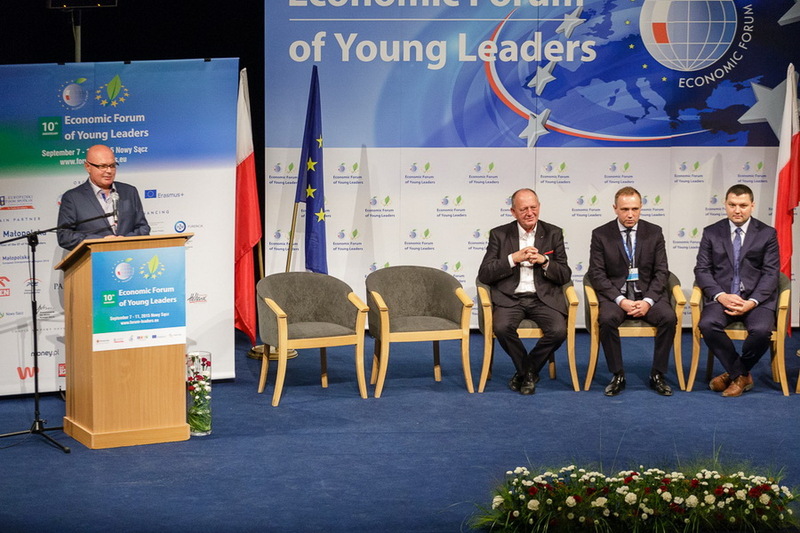 Whether our world will be a world of peace, tolerance, mutual respect and growth, or a world of intolerance and war, all depends on us – said Leszek Zegzda, the Vice Marshal of the Lesser Poland voivodeship, during the opening of the X Economic Forum of Young Leaders. 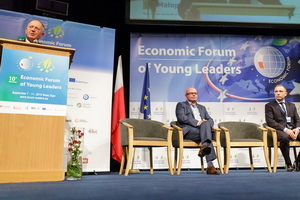 He also emphasised that the Economic Forum of Young Leaders is a place where successful people meet – people who have found themselves in life. 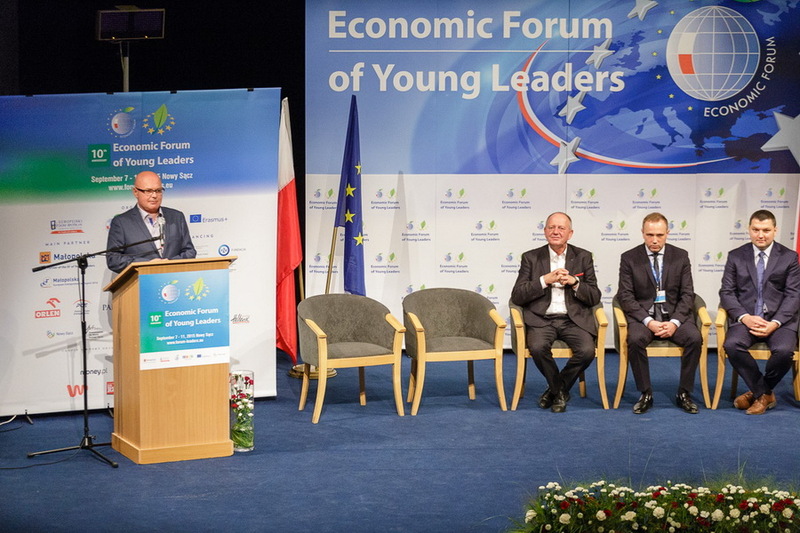 The president of Nowy Sącz Ryszard Nowak pointed out that it is the youth, the young leaders who must consider what kind of politics we as a single Europe should represent in the most important matters for the Old Continent. 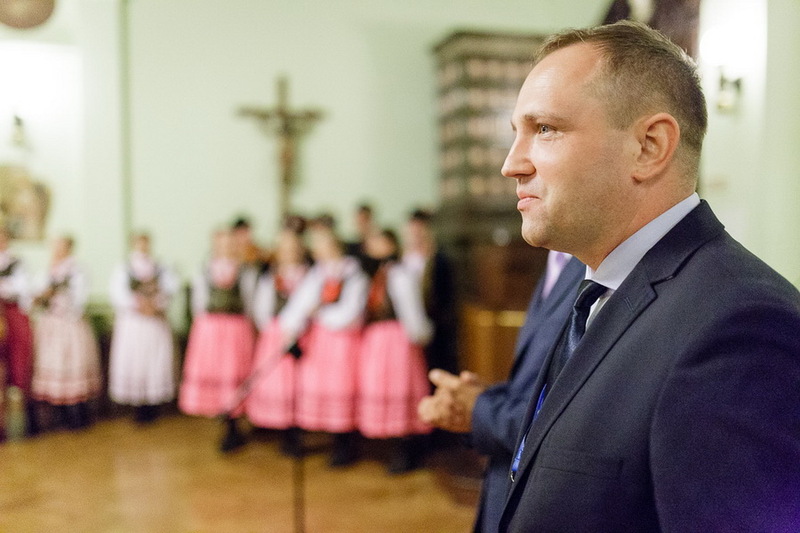 - One year ago the Ukraine crisis was the neuralgic topic, and this year the issue of migration is the main subject – mentioned the host of Nowy Sącz. 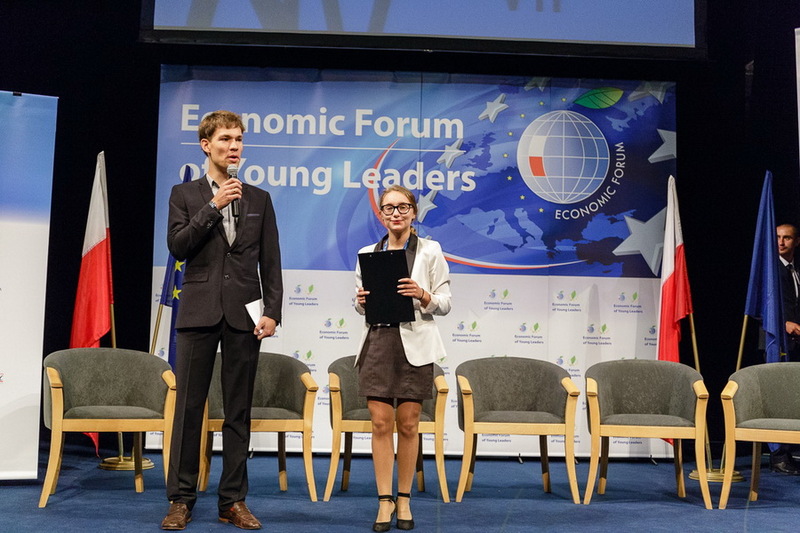 – I am convinced that your voice, the voice of young people will be heard. – he added. 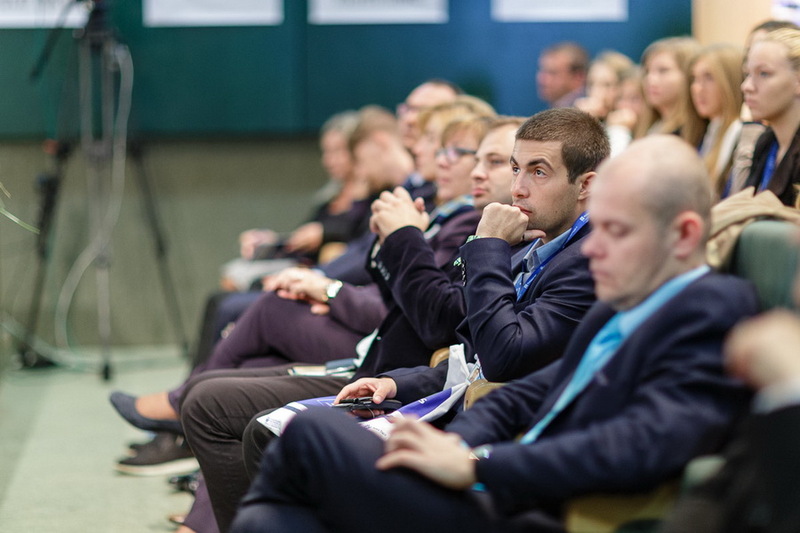 Tomasz Bratek, the general director of the Erasmus Plus programme, noticed that we are living in very interesting times, which at the same time pose a great challenge. – I firmly believe in the European project. 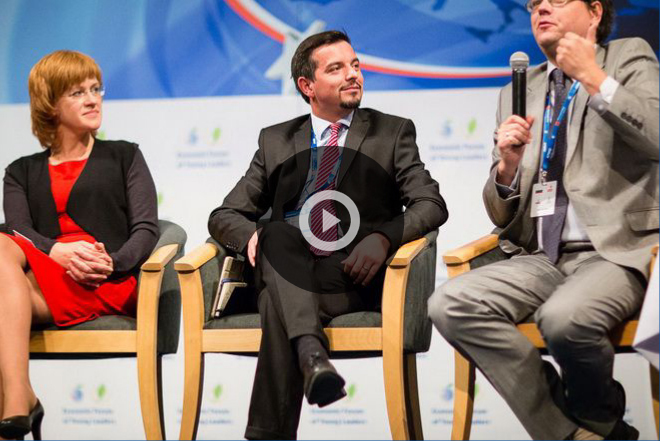 We have a lot to offer to the emigrants, because Europe is based on the idea of solidarity. – he said. 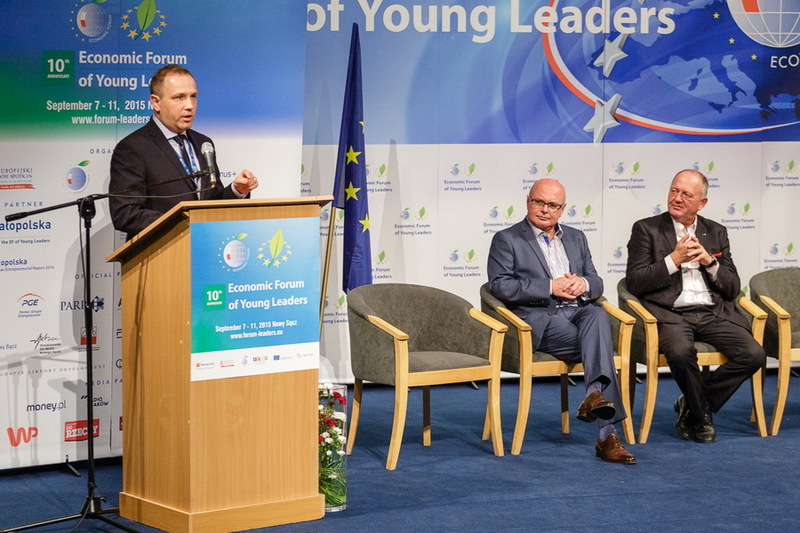 - Ten years later the Forum has grown strong and is a significant event in Europe – said Michał Wójcik, the chairman of the European Meeting Centre – Nowy Staw Foundation. the president of Nowy Sącz. How, in your opinion, has the Forum changed over the past ten years? 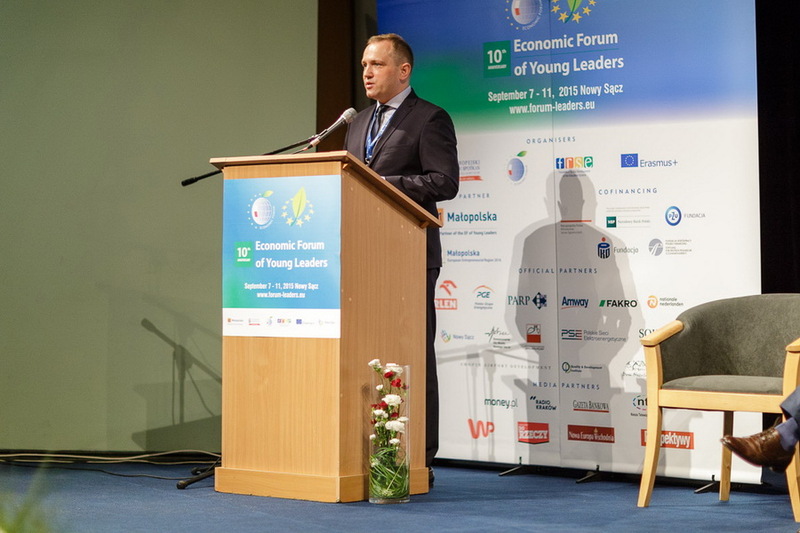 I must admit that the initially the focus of the Forum was mainly on economics and business. 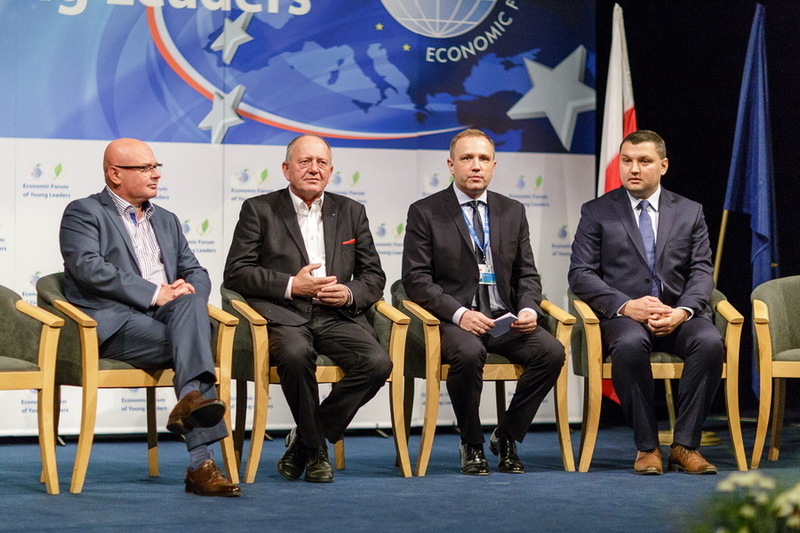 It was something natural, especially since the Economic Forum in Nowy Sącz is the younger version of the Economic Forum in Krynica. 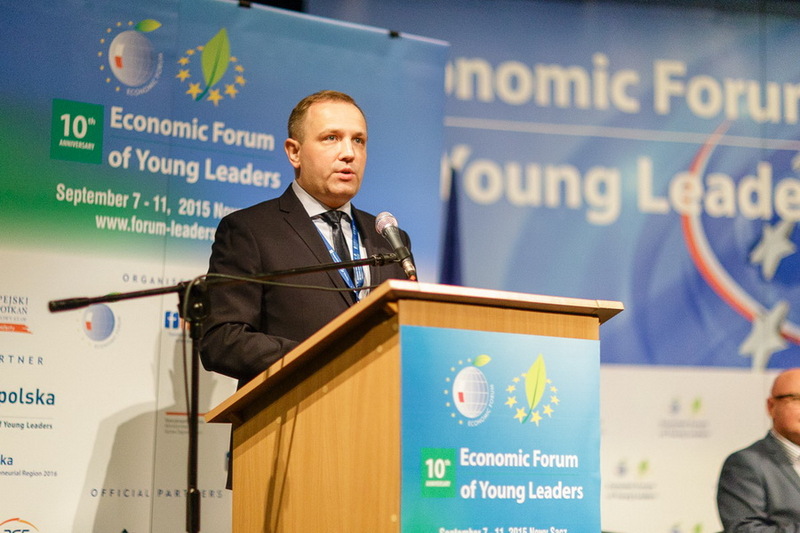 However, the current situation in Europe and the world has forced the participants to take a wider look at what is happening around us; it does not allow us to concentrate merely on economic matters, but forces us to turn our attention to the matters of politics and society. The issues that have recently been appearing in Europe surpass our depiction from a few years ago. No one supposed that we would have to face such difficult issues. 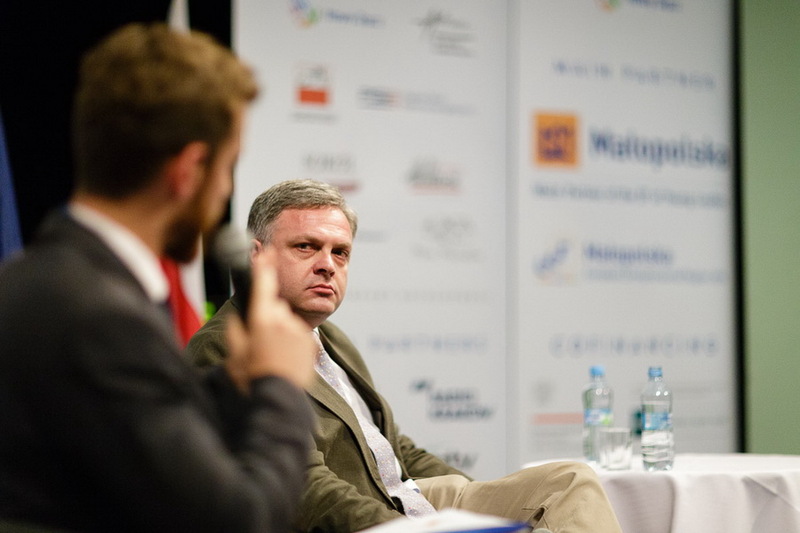 We could begin with Eastern Europe – with Ukraine, Russia, with the conflict that has unfortunately arisen. We have significant problems today – ones that will most certainly affect the economy, I have no doubts about that – with the migrants from Asia and Africa, who in theory have little in common with Europe. No one has ever expected it in their worst nightmares. 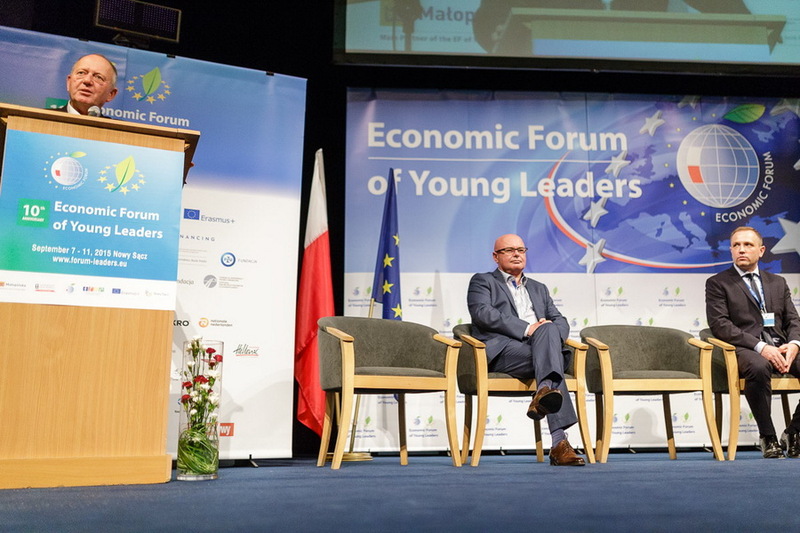 Those young people who meet today at the Forum of Young Leaders will have to find answers to some difficult questions and try to find solutions to meaningful issues. 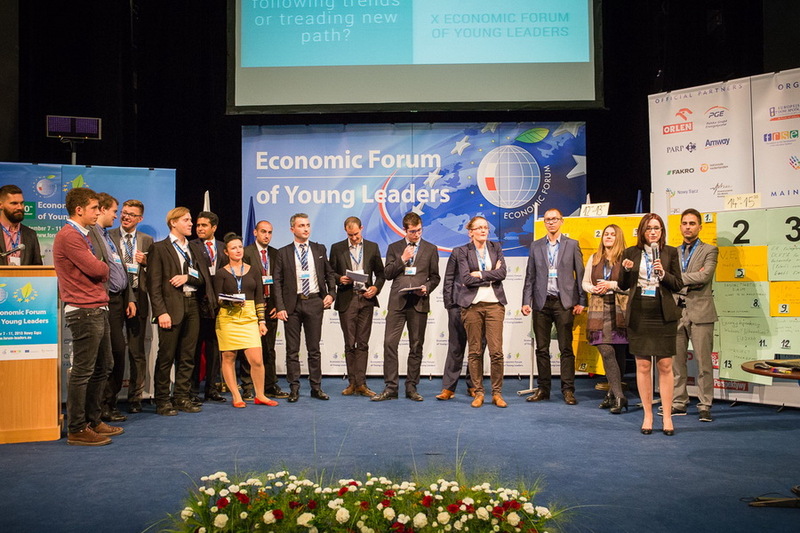 How are Nowy Sącz and you as the host of this city preparing to the Economic Forum of Young Leaders? 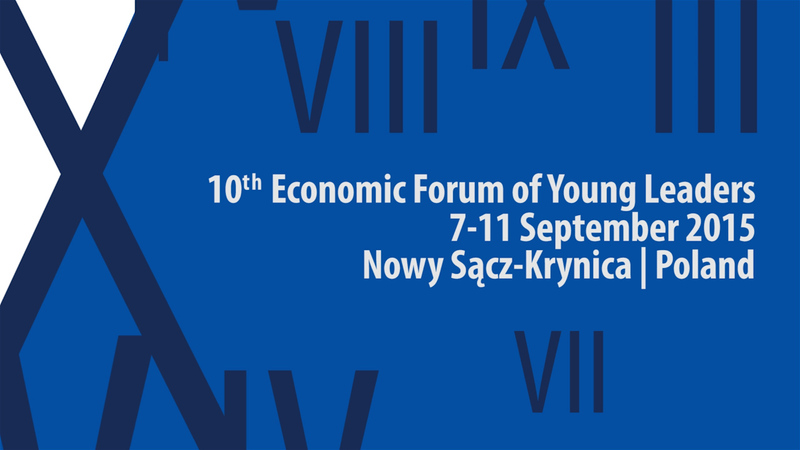 It’s my ninth Forum as the president of Nowy Sącz. I have a trusted team of people, my co-workers, who are very experienced in this undertaking. 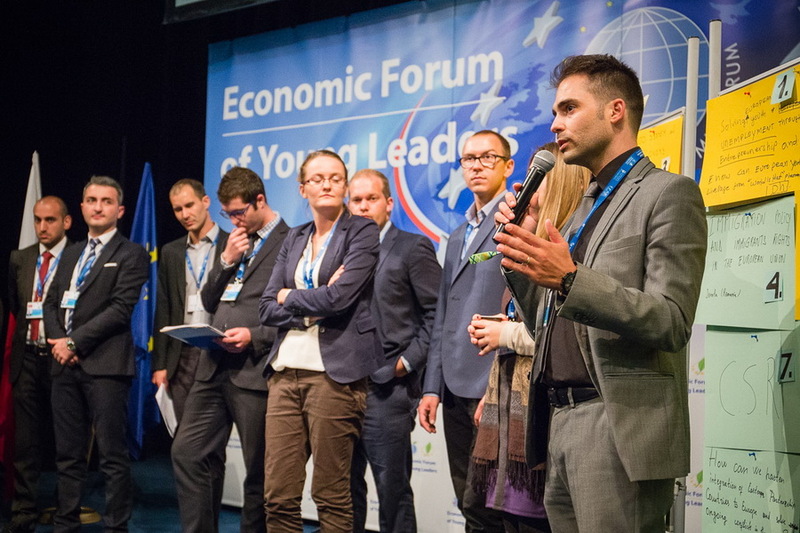 Our cooperation with the European Meeting Centre – Nowy Staw Foundation from Lublin is excellent. Those two teams meet, exchange observations, everything runs in a very good atmosphere. In some sense I don’t interfere, I’m simply a patron. 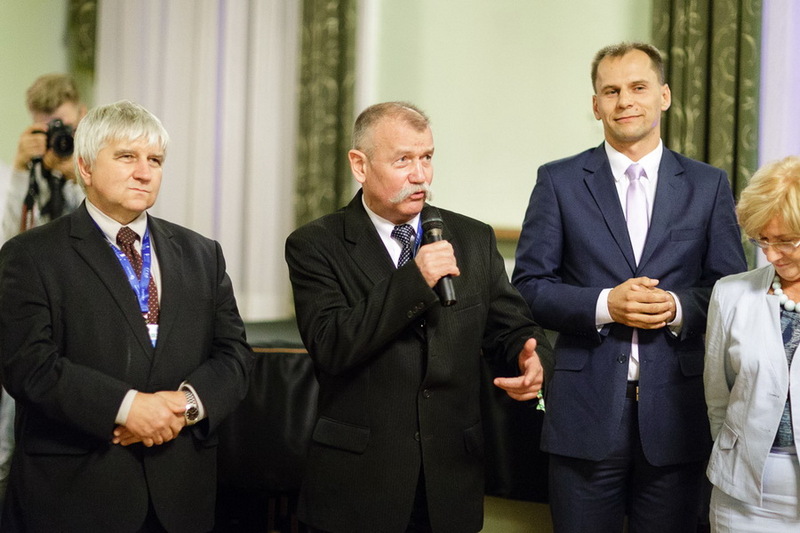 Do you see any measurable profits from this event for Nowy Sącz, its people, and perhaps the whole voivodeship? There are certainly great profits from this, but it’s difficult to measure and list them at the moment. 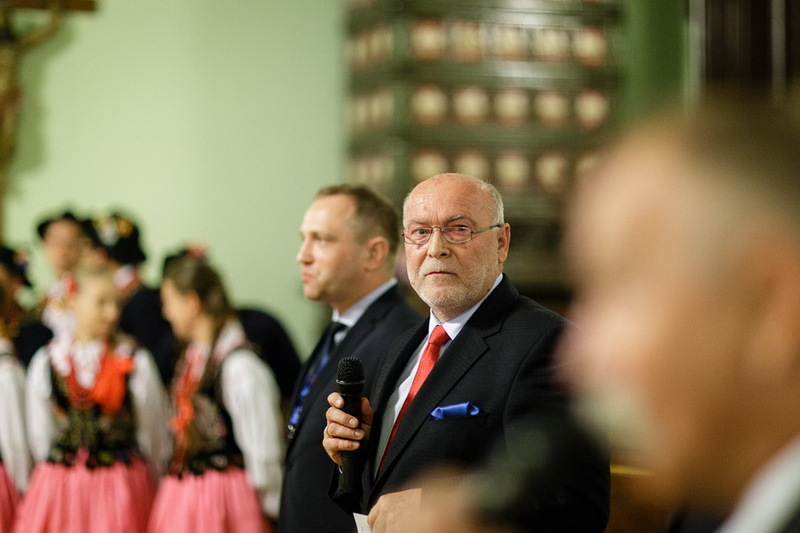 The sole fact that there are few hundred attendees is very meaningful – the record of Nowy Sącz goes out to the wider world, appears in the media and in the public eye. The kindness and contentment that I see around me indicate that both the city and the participants fully benefit from the Forum. 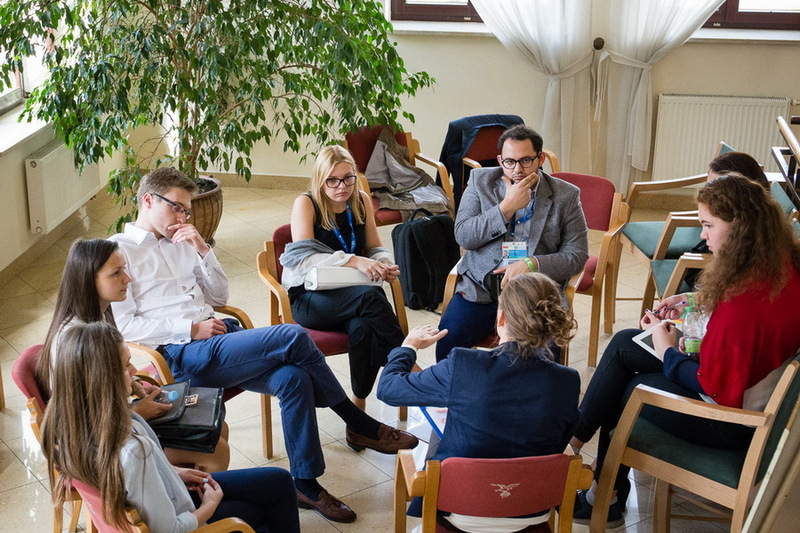 During the „Young Leaders on the crossroads - following New trends or finding New roots” workshops young people from several dozen countries have considered what is important to them and what new things they can do for Europe. 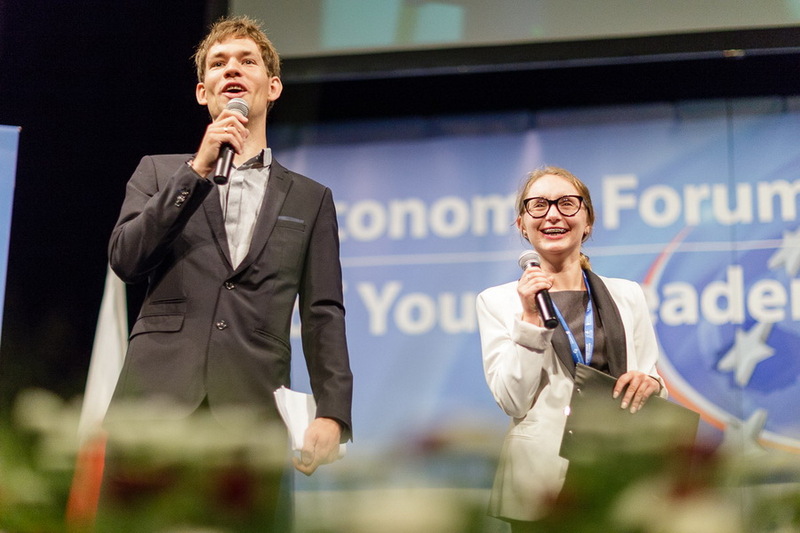 „The voice of young people is important because in the future they will be the ones creating new trends in the social and economic development of Europe” – said Ewelina Miłoń from the National Agency of Erasmus+. During the workshops participants discussed their ideas and considered contemporary issues. Could participating in the Economic Forum of Young Leaders influence the attendees so that they will take part in the public life of their countries in the future? I think that the Forum brings together people who already do something along these lines and who come here with a very concrete mindset towards discussion, and a willingness to find a consensus with others. Nowadays we have ever fewer opportunities to have face-to-face conversations with other people, to find out about their opinions and feelings. Virtual reality, where we so often meet, in some sense dehumanizes other people, which is a source of many disagreements. 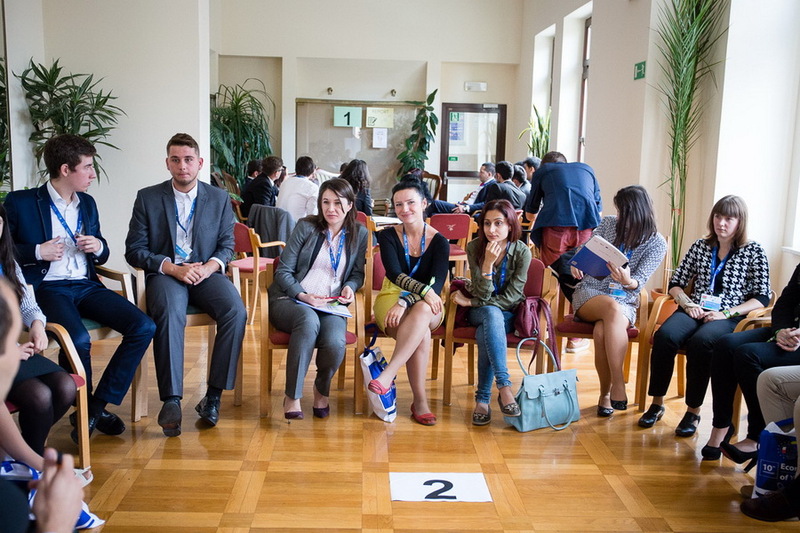 Young people at the Forum can, first of all, get to know one another and then discover that both they, as well as the issues they face in their countries, are in many respects alike. 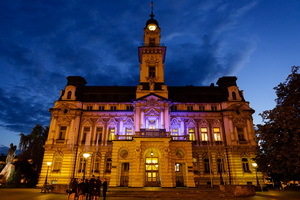 There could be differences, however, in the ways to solve them, and that’s exactly what they’ll be able to talk about in Nowy Sącz. 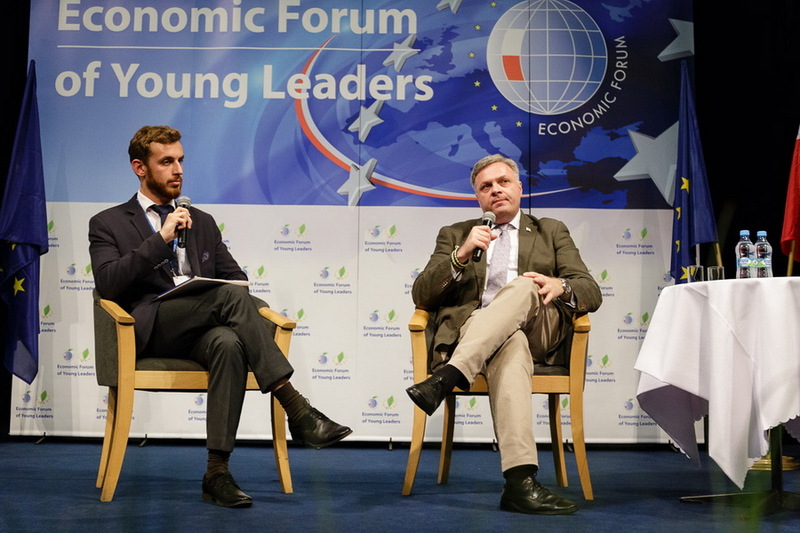 Yet it’s not only about the problems, because the Forum is also a place where friendships and business contacts are formed. 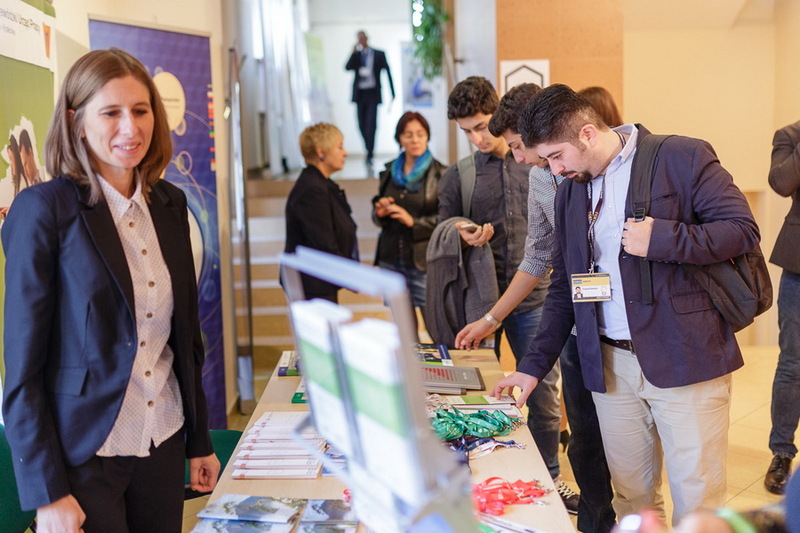 It’s worth knowing that the Forum is a place where a few firms have already been established. 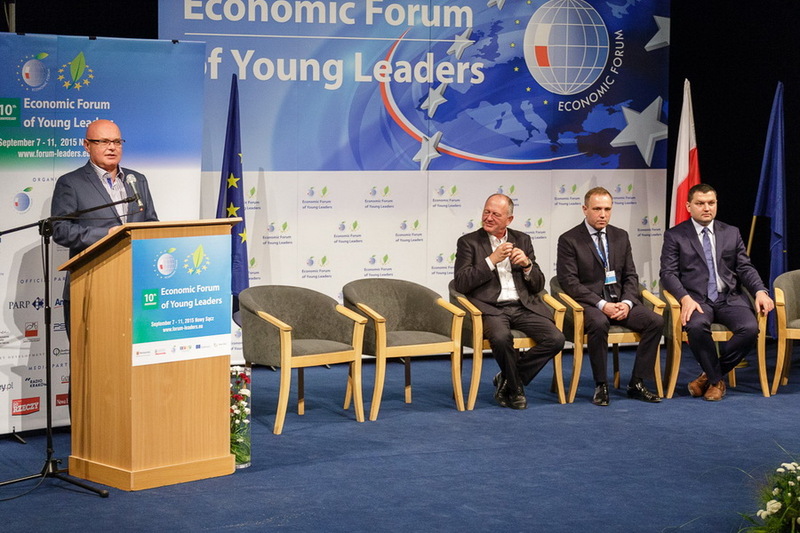 Last year a young man from the Czech Republic has presented his company that deals with ecological recycling of raw materials. 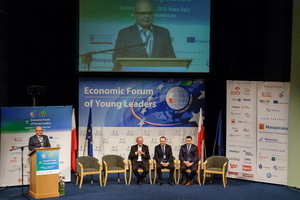 Now the company operates both in his country, as well as Slovakia, Poland and Hungary, and all the business partners attended the Forum. There are of course more examples like this one. 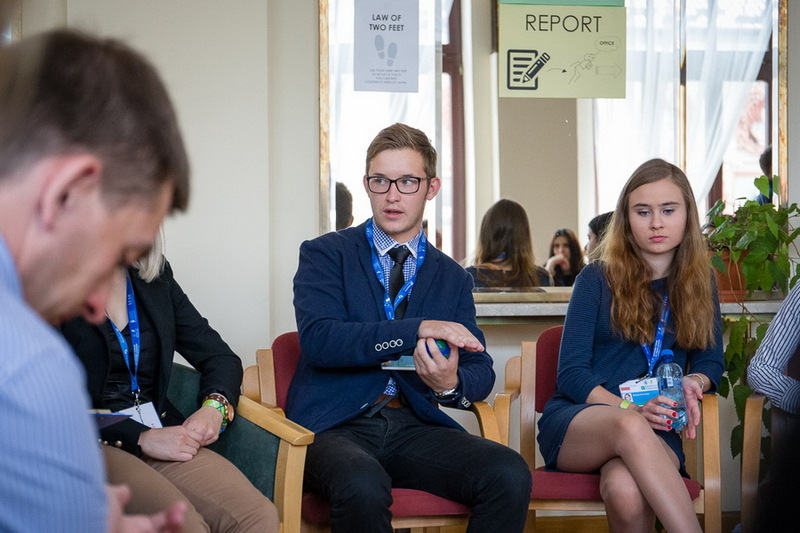 For example – events companies that were established for the implementation of various projects as part of the Erasmus programme, established by former students and participants of the Forum in Nowy Sącz, who used the experiences they gained during the Forum. 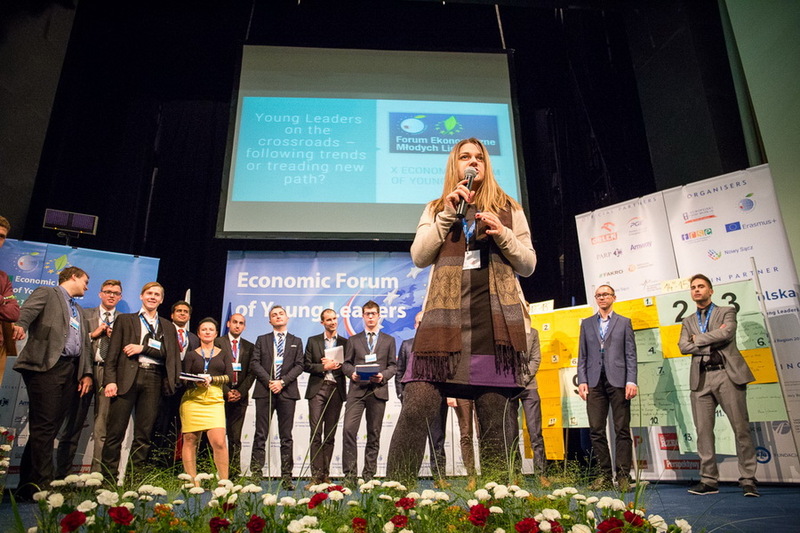 Last year the events in Ukraine greatly influenced the topics of the Forum. 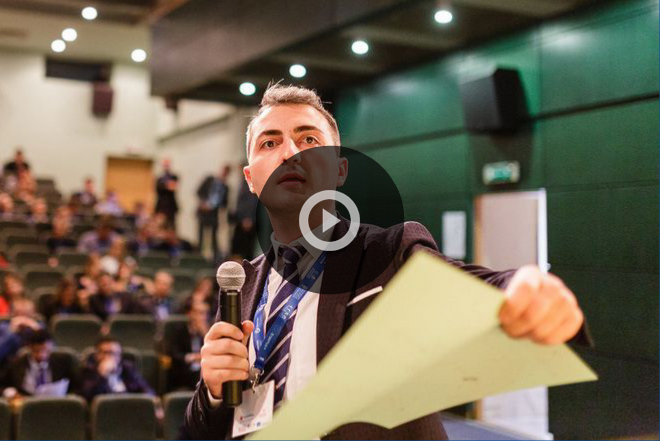 Do we have a similar subject this year too, for example mass immigration? This year Ukraine still remains a very important subject. 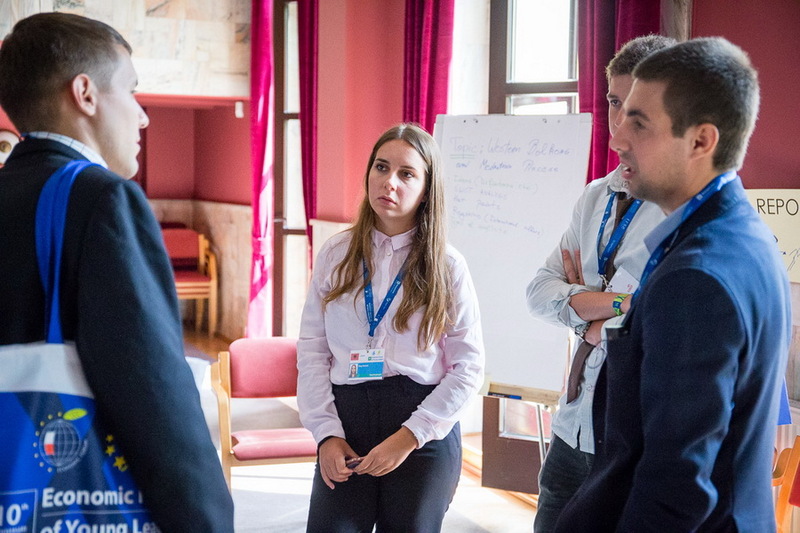 We have a lot of participants from Ukraine here, who live and breathe those events, and are in a difficult situation both mentally and economically. 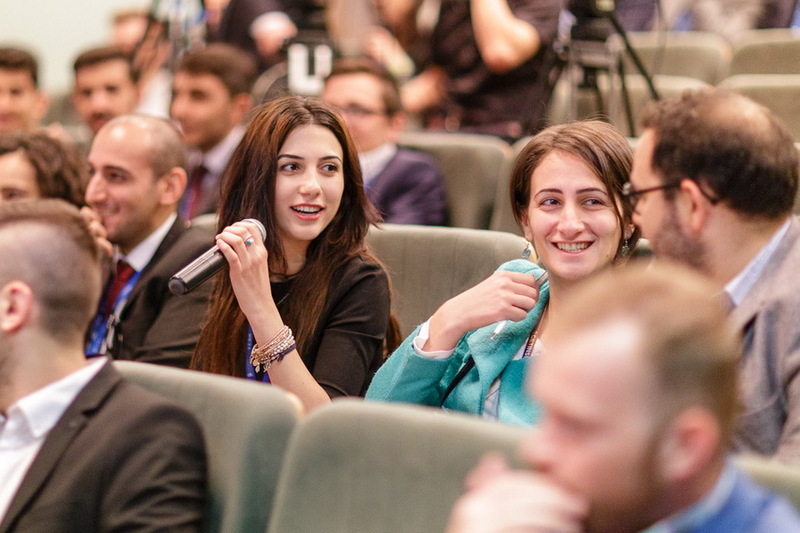 When we talk about immigration, we usually only mention immigration from the Arabic countries, which appears in the media, forgetting about the immigration from Ukraine, as more and more young people come to Poland from there. Not only because they seek jobs and money here, but most importantly because they can live in peace here. 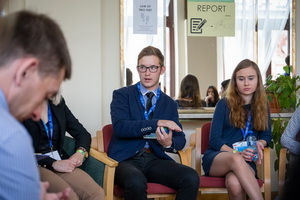 People who come over here from Ukraine want to discuss the fact that their country is also in Europe, that it is a civilised space and that they need help. They also make politicians aware that their procrastinating ways do not fall in with young people and that leaving Ukraine or selling it in some deals by Western politicians shouldn’t even come into play. 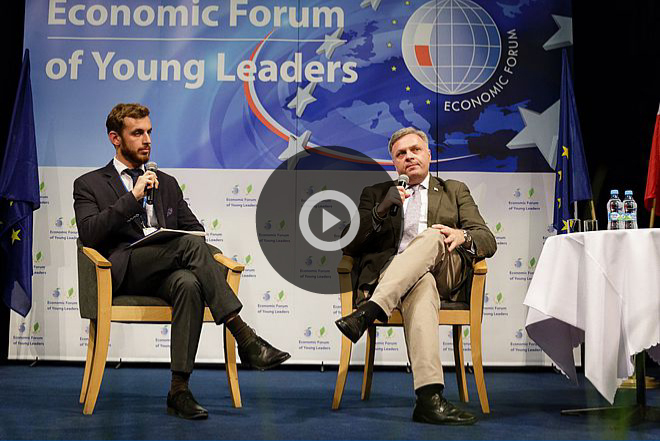 And so Ukraine will remain an important subject. 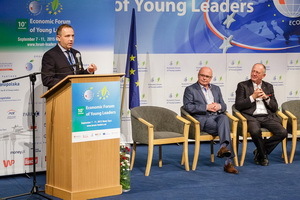 Nevertheless, an extremely important matter is the need for young people in the European Union to understand that they are living in a truly comfortable and safe space. Despite what different political parties proclaim, we are living in relative prosperity. If we take a look at our history, there has never been a time like this before. And that’s where the question arises – will we be able to defend our little “paradise” and as such try to build a wall around us, or will we find a way of thinking about others, about solidarity, about sharing and helping. Raising young people’s awareness of other people is essential. And the mass immigration from the Arabic countries goes to show in a drastic way that people have been knocking on our doors like on a paradise’s. 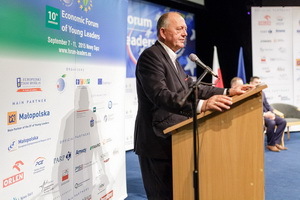 Giorgi Baramidze, a vice-speaker of the Parliament of Georgia, former Minister of Defence, Internal Affairs and State Minister for Euro-Atlantic Integration of Georgia, talked about Europe’s safety challenges in the context of its relationship with Russia, about the route of post-Soviet countries towards democracy and about ways to defend European values. He decidedly disapproved of Putin’s politics towards the neighbouring countries and his domestic policy, which he called a return to 19th century nationalism. He forecasts that the political system in its current form will not survive seven more years. He also talked about the positive steps that Georgia has gone through on the path to democracy: fighting corruption, mitigating bureaucracy, and a more effective state apparatus. The participants’ questions lead the discussion towards the matters of Ukraine and the involvement of Georgian politicians in Ukraine’s transformation. 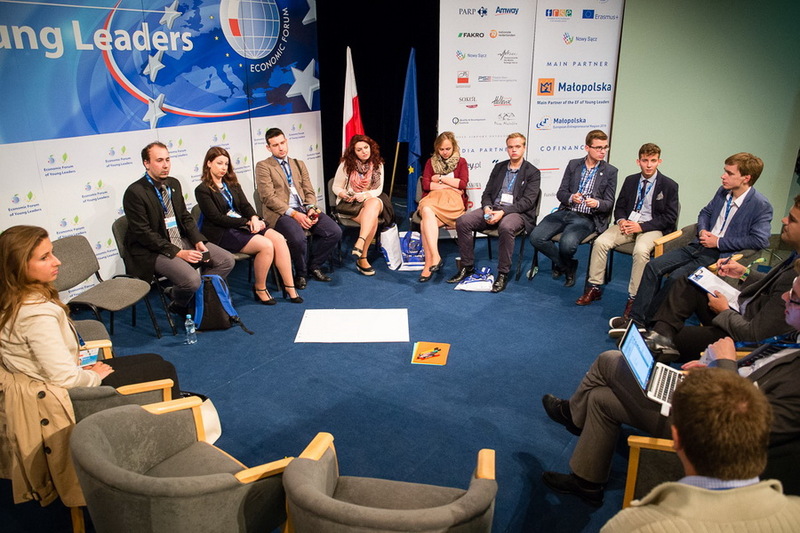 The discussion concluded with a mention of the “Project Europe” and the need to defend it. 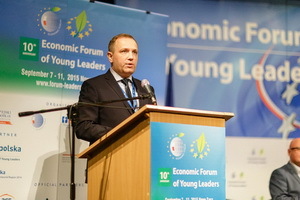 Giorgi Baramidze is a deputy speaker of the Parliament in Georgia and former Vice-Prime Minister and Minister of European Integration of Georgia. 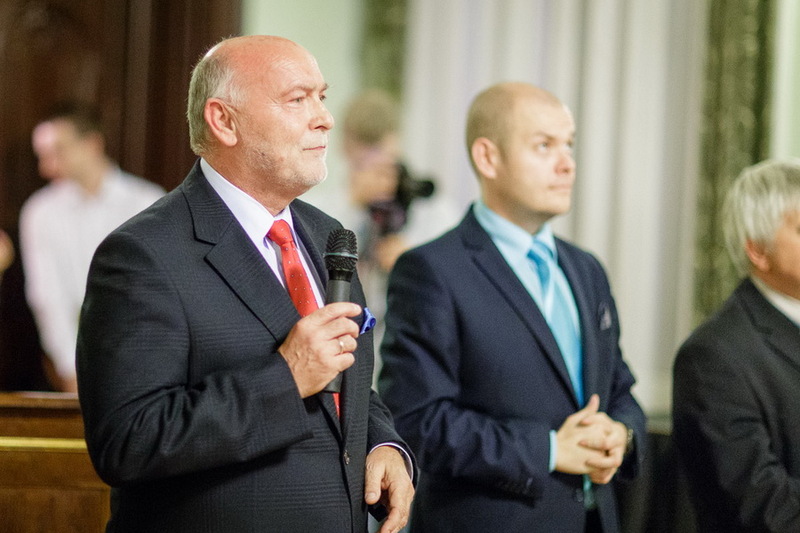 He has been our speaker at the Forum for many years. Baramidze was born on January 5, 1968 in Tbilisi, Georgia. He graduated from the Department of Chemical Technologies of the Georgian Technical University in 1992. While at the university, he was a co-founder and one of leaders of the student movement. 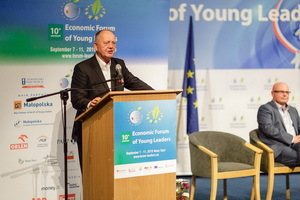 In 1990, he joined forces with other activists establishing and leading Green Party of Georgia. Following graduation from the university in 1992, he worked as the head of a department at the Committee of Human Rights and National Minorities. 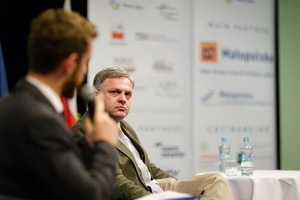 In 1995, he graduated from George C. Marshall Center for European Security Studies and Defense Economics in Garmisch, Germany. 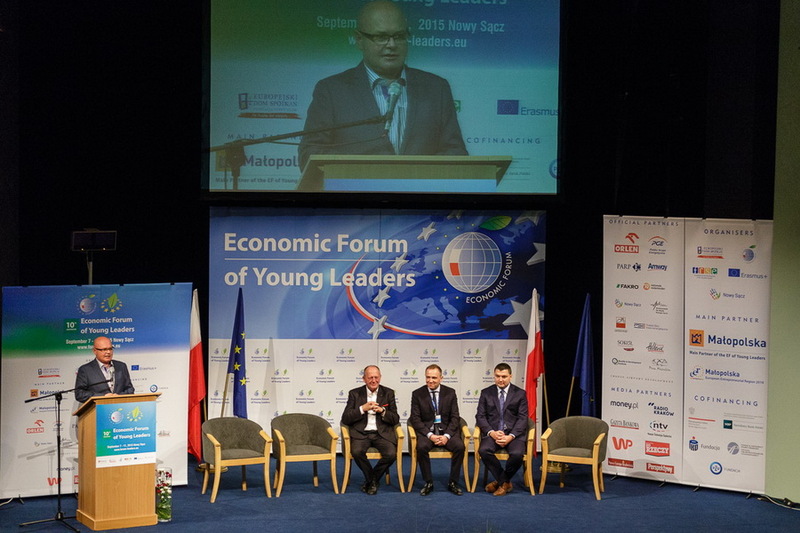 Thanks to the president of Nowy Sącz, Ryszard Nowak’s kindness, the Forum’s participants had a chance to get a taste of the local hospitality. 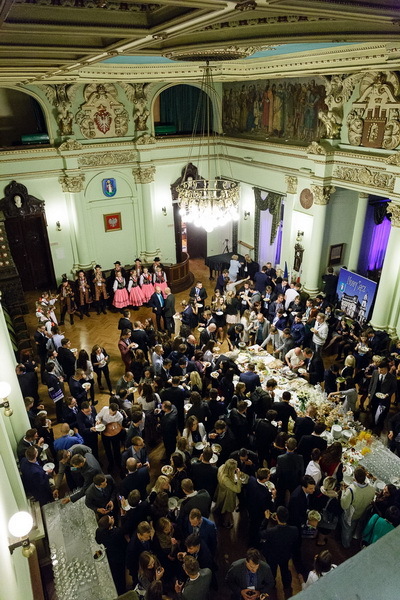 A banquet took place in the city hall, where hosts welcomed the participants and shared their admiration for young, active people. The city hall’s representatives have emphasised the importance of cooperation between the city and young people from all over Europe and expressed the will to work together in the years to come. 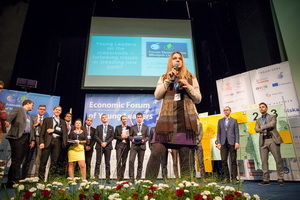 Finally, the participants had a chance to listen to a brief folk band concert.